I still remember the day I landed in the US for the first time. It was January 5th night and there had been heavy snow in Pennsylvania. My international student advisor along with another student whom I had contacted through students association had come to pick me up. I was 22 years old and had never lived away from my parents for more than a month. I was confused, scared and was thousands of miles away from my family. I did not know to cook, did not know how to manage finances and basically was unfit to stay alone at that time. To top it all, one of my luggage did not make it through on time. That suitcase was the one which had all the food and I was basically afraid of how I was going to manage. I still remember the night I landed and I did not even know how to call my parents to inform them of my safe arrival. The guy who came to pick me up wasn’t very helpful in telling me how to make a call. Mind you this was in 2003, calling to India was still not easy or cheap that it is today. So I just went to sleep without knowing how to inform my parents. Thankfully my parents called the college and got to know that I had safely arrived. I was lucky that I had my cousins in the US already and they helped me out with the initial calling cards to India. Everyday from the morning after was a learning experience. From learning to cook to managing my own bank account I was Fast tracked to independent living. Even though it was difficult at the start it progressively got easier. The college life was excellent, I met some wonderful people and I am still in touch with some of them. The 2 years I spent at the university taught me a lot and made me confident of taking care of myself. Once I graduated I did have few months of struggle but I did find a job which I held to the last day I was in the US. The overall experience in the US was brilliant. The country gave me a lot and I loved every minute of it. I got married when I was in the US. My wife and I travelled a lot and saw lots of beautiful places. We had our first child while we were in the US. Lots of amazing friends and people, the memories would be etched in my mind forever. It was really sad when I had to leave the country which I called home for 14 years. It was a really hard decision to take. I guess I had reached that tipping point when it did not make sense anymore to continue waiting. It was hard to make that call but I feel it was the right one. 14 years is a long time in a person’s life and I was not getting any younger. America gave me a lot, it was wonderful experience and I enjoyed every bit of it but unfortunately the law makers are stuck in the stone ages. Things happened too fast and I along with my family moved out at a breakneck speed. It never sank in as I did not even have time to say goodbye to people I know properly. It was good in a way that it happened so fast. The only regret I had was when I moved out of my home where my wife and I stayed for 5 years. The home where my wife and I experienced lots of highs and quite a bit of lows. The home where my wife and I spent hours together talking, watching movies and cooking. It was an emotional moment when I left the keys at the counter and locked the door for one last time. There is no regret and I would do it all over again in a heart beat. I had wonderful 14 years and I leave with no regrets. Thanks US for everything you gave me and this post was a long time coming. I have moved on to a new country and new life but I carry with me wonderful memories. Bye Bye US, thanks for everything. I wrote my last post more than a year ago. Lots of things have changed since then. I no longer live in the US, I have a new job and the most exciting change is that my wife and I are parents now. Things have changed rapidly and the last year an a half has been a roller coaster. Lots of frustrations, tensed moments and happiness marked the year 2016 and early part of 2017. I just wasn’t able to write anything over that time. I just wanted to get out of that rut and I thing I finally have. I have started a new life in a new country and I feel this is the right time to resume writing again. I will be starting to write about the important cricketing/sporting moments over the last year and a half. Even though the content might be little old for everyone, it is new for me as I wasn’t able to express my thoughts on those moments during the time of its occurrence. It is really nice to be able to be posting after a long time with clear thoughts and mindset. India has never played a bilateral ODI series in Australia before, so this will be a new experience for the Indian team. The Australian team is always difficult to beat at home and India traditionally hasn’t done well in Australia. The Australian team is the current world champion and it will take a huge effort by this young Indian team to compete in this series. There are some new faces in the squad and with Shami’s injury Ishant and Umesh will be expected to lead the pace attack. The batting will depend on the experience of Virat Kohli, MS Dhoni, Rohit Sharma and Shikhar Dhawan. Ajinkya Rahane who has been in great form will also be expected to contribute in the middle order for the team. With 5 batting spots already taken there are two open spots in the middle/lower order ODI series. One spot is for sure going to an all-rounder. The front runner for that spot should be Rishi Dhawan. Rishi Dhawan has done well in the practice games ahead of the series and has some experience playing in Australia representing the emerging players X1 for India. He is expected to get a look in in the first ODI. The number 6 batting slot will be a tossup between Manish Pandey and Gurkeerat Singh. Manish Pandey batted brilliantly in the warm up game and also is a brilliant fielder. Gurkeerat Singh also is a very good young player and he offers India with an option of an additional spin bowling option. So this will be an interesting decision. Also it will be interesting to see if India will go with 2 bowling all-rounder option with Ravi Jadeja and Rishi Dhawan. Ashwin will most probably be India’s lone spinner for the first ODI and with injury to Mohammed Shami, Ishant and Umesh are most likely options to take the new ball. If India opts to go for 3 pace bowling option then Barinder Sran is most likely going to make his international debut at WACA. This is going to be an interesting series for India and the young players will be under pressure to perform and make an impact. Gurkeerat Singh and Manish Pandey have been waiting in the wings for some time now to make it to the ODI X1 and this will be a perfect launch pad for them to stake their claim. MS Dhoni would be hoping that India can turn their ODI fortunes around at the start of 2016 and his leadership will play a crucial part in this series. The experienced top order will be expected to make consistent contributions if India is going to push Australia in both ODI and T20 series. Below is the likely X1 for the first ODI at the WACA. I am expecting Jadeja and Axar to miss out from the X1. I don’t think the Indian team is going to play two spinners at the WACA. The closest tossup will be between Gurkeerat Singh and Manish Pandey but I think Gurkeerat might get the nod as he is a decent spinner as well. Even though this will be a tough series for the young team, I expect them to give a good account of themselves and may be even win the series with contributions from the senior players. The Indian team hasn’t had a great start to the ODI Tri-Series. After losing a hard fought game to Australia in the opener, they have been hammered by England in the second game. While the first game was marred by poor lower order batting, the second game had a complete batting failure. With the World cup just a month away India seem to be having a boat load of issues with the team combination. Let us look at the problem areas for the team ahead of the marquee tournament. India played 2 different combinations in the first two games and Shikhar Dhawan has struggled to score in both those games. After an underwhelming test series with the bat Dhawan seems to be struggling to put bat to ball in his favorite format of the game. It seems like India needs to take the harsh decision and give the Rohit/Rahane combination a chance in the remaining games. Rohit scored a hundred in the first game and Rahane looked good in the second before throwing his wicket away to a poor shot. The opening combination is the most important thing in Australia/New Zealand and it can make or break a team. India need to decide on what combination they are planning to field in the world cup and play that duo in the upcoming games in the tri-series and in the warm up games leading to the world cup. India has experimented quite a lot in this area as well. Virat Kohli who was India’s permanent fixture at number 3 has been pushed to number 4 for some strange reason. Ambati Rayudu was used at number 3 at the Gabba. Suresh Raina and MS Dhoni complete the Indian middle order. Virat Kohli should bat at 3 in all games, as he is India’s best ODI player. Suresh Raina will bat at 5 followed by MS Dhoni at 6. So that leaves Ambati Rayudu at number 4. The positions of Raina and Rayudu can be changed based on the team situation but India ideally should play Kohli at 3 and Rayudu at 4. India does not have too much room for experimentation in this regard as they haven’t picked another middle order batsman. Rahane who can double as a middle order batsman may have to open since Dhawan hasn’t been scoring any runs. This is a very interesting spot for the Indian team. India has picked potentially 4 all-rounders. 3 of them are spin bowling all-rounders and one a medium pace all-rounder. It will be interesting to see which combination India will play at the world cup. Stuart Binny did a decent job in the game at Gabba scoring 44 runs with the bat and picking up the only wicket to fall. Once Ravi Jadeja is fit, I don’t think India will be playing Akshar Patel in the X1. The tussle for the one spin all-rounder will be between Jadeja and Ashwin. India might play both of them in venues which might have some help for the spinners and play one of them in the combination of Binny in the other venues. Jadeja has been Dhoni’s go to man in ODI’s, so it will be fair to assume that he will be India’s first choice spinner in the world cup. This will be the most talked about combination for India ahead of the world cup. Looking at the squad selected for the world cup, it is pretty hard to imagine how India is going to take 10 wickets in the game. The bowlers as seen in the test matches don’t have any control over the scoring with the new ball, which is going to be crucial in the world cup. Umesh Yadav and Mohammed Shami haven’t been the most economical bowlers for India and haven’t been that effective with the new ball. Bhuvneshwar Kumar has struggled in Australia and hasn’t been able to pick up too many wickets. This leaves just Ishant who hasn’t played in the on-going tri-series due to an injury and might not take part in the rest of the series as well. This will mean that India will struggle to find the right bowling combination for the world cup. Ideally India should play Bhuvneshwar Kumar, Ishant and Shami/Umesh. India cannot play both Shami and Umesh in the X1. Even though Ishant and Bhuvneshwar might not get you too many wickets, they can at least give you some much needed control with the new ball building up some pressure. Shami is good with the old ball which might help Dhoni to keep him for the middle and later overs. So all in all it does look like a very tall order for the Indians to defend the world cup in Australia and New Zealand. The Indian bowling has relied a lot on spinners over the last year or so but in Australia/New Zealand they wouldn’t be that effective. India did not pick a wrist spinner in their squad which might work against them in the world cup. The batting too looks unsettled and with players looking out of form. Things do not look great for Dhoni and Fletcher ahead of the world cup at this point. India needs to decide on their best X1 in the upcoming couple of games as they don’t have too much room to experiment anyways with the World Cup Squad. The non-selection of an additional middle order bat and an additional pacer might work against the team in the world cup. Below is my X1 for the world cup. The below X1 is the best combination I feel India can put up from the squad selected for the world cup. The Indian slip catching has been poor in the recent times and has cost India in tests. As the old adage in cricket goes “catches win matches” and obviously that holds true for all formats of the game. Catching has been a big problem for this young Indian side. There was a time when Indian slip cordon consisted of the Dravid and Laxman with Sehwag, Sachin ET all making up the other slip. The catching was brilliant and it was the main reason for India to climb in the rankings. Yes there were few drops here and there but mostly all catches were taken. It was not only the slip catching but overall the Indian fielders were good in taking catches. The one criticism that Indian team had then was that their ground fielding was really poor. Now with the current team India faces quite the opposite problem. The Indian ground fielding is one of the best but the catching overall has been very poor. Over the last few months the Indian fielders have dropped some crucial catches which has changed the course of the game. The slip catching has been tentative and the overall catching has been casual. Statistics say that India has tried as much as 5 fielders in the first slip in the last 19 tests and as much as 8 catches have been dropped in the slips by India in the last 7 tests. This is a very revealing stat and something which has been completely ignored while blaming our bowling. The Indian bowlers aren’t world beaters and they require all the assistance they can get from the fielders. The drop chances have really hurt India and their chance to win few games. The Wellington test comes to mind immediately, the drop chances of Williamson and McCullum cost India the test which they were well on the way to win. In the first test at Lord’s Rahane dropped Robson but luckily for him the batsman did not make most of that chance. India let a chance slip of Gary Ballance in the first innings and he went on to score a hundred. 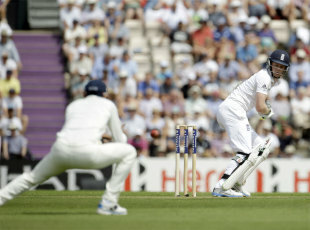 Alastair Cook was dropped in the first innings of the 3rd test which allowed him to get of the wretched form he had been under to post a career saving 95. The captain Dhoni himself hasn’t been a safe catcher himself in the recent times. Young players like Jadeja, Rahane and Kohli have been pretty bad and have dropped some crucial takes over the last few months. Virat Kohli has been the biggest offender among the young brigade. His casual attempt at nabbing Brendon McCullum’s feeble drive at short mid-on in the second test cost India dearly. Jadeja has dropped couple of crucial ones. Dhawan has been a reluctant first slipper and has hardly shown intent to go after difficult takes. Rahane has dropped a few in the slips. This has been a disturbing trend for the young Indian team. The young players who have been brilliant in saving runs and effecting run outs have been poor catchers in the slips as well as in the outfield. This problem has not only been in tests but also has been in the ODI’s and T20 games. India needs to arrest this problem fast if they have to compete at the highest level. Good players will always make you pay if you give them a second chance. India has found that out in the recent times to a devastating effect. The team needs reliable slip fielders and the outfield catching needs to be sorted out too. India has two more tests after the current one at the Rose Bowl in this series and then they travel to Australia later this year. India needs to take all their chances to compete in these games. Top teams will make you pay if you drop catches. The coach and captain need to find a way to get through to these young players and figure out what is going wrong with the catching. If they do not arrest this trend soon, India will be finding themselves chasing the leather most often than not and the only ones to suffer will be the bowlers. Ravichandran Ashwin – Overseas Blues? 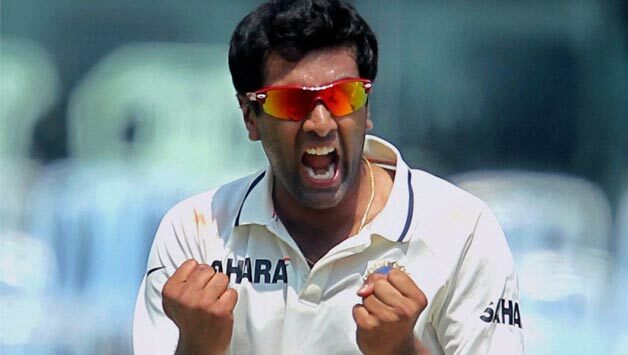 Ravichandran Ashwin is India’s premier spinner and needs to be backed. Ravichandran Ashwin has played a grand total of 5 tests overseas, 4 of them in the “Subcontinent” spin bowler’s graveyard Australia. Many greats from the subcontinent in the past have struggled to pick up wickets in Australia. Anil Kumble first visited Australia during India’s 1999/00 series when he had already played around 7 -8 years of International cricket. He picked up 5 wickets in 3 tests at an average of 90 and SR of 175. Mastering the overseas pitches hasn’t been easy for subcontinent spinners especially Indian spinners over the last couple of decades. Anil Kumble and Harbhajan Singh are the two major spinners who played for India during that time and both of them struggled overseas. Anil Kumble was never effective overseas until the 2000’s after almost a decade of international cricket. Harbhajan Singh except for few games here and there never mastered the art of bowling on overseas pitches. So why are we expecting Ashwin to be great before he has even played 10 tests overseas? India isn’t in the Bedi, Chandrasekhar, Venkat and Prasanna era anymore, those days are long gone. Ravichandran Ashwin’s career is similar to how Anil Kumble or Harbhajan started their careers with team India. They were Match winners at home but ineffective overseas. Anil is an Indian legend and you don’t pick up 600+ wickets without being one but even his craziest of fans would accept that his performance in the 90’s overseas was largely underwhelming. The Indian spinners have struggled to master the right length to bowl on pitches in Australia, England and South Africa especially. The Indian spinners are used to bowling on Indian pitches which assist them a lot. They don’t have to bowl too full on Indian pitches as bowling short of a length is more than enough as the bounce and turn on Indian pitches will take care of the rest. The reason why most of the overseas spinners struggle in India too is because they bowl too full. The Indian spinners when they go to Australia or England struggle to find the right length. They bowl the same short of the length which they bowl in India and it becomes too short on those pitches as there is no help for them. Batsmen easily pick them off of the back foot. If you look at Anil Kumble’s footage from the 90’s in Australia you will get the gist. As a good spinner you are supposed to adapt but again you need time. Spin bowling is a difficult art, especially in conditions which isn’t helpful. You need to be able to adjust your line and length according to the pitches you play on. Also spinners mature later than the fast men. It took 10 years for Anil to find the right way to bowl overseas. Once he figured that out he started winning games for India overseas. I am not saying give Ashwin 10 years to learn the trade but don’t discard him just after 5 tests. He can be an incredible asset for the Indian test team. He bats very well and averages almost 40 with the bat and is a good slip fielder. The Indian team needs to give him confidence and allow him to mature a little bit overseas. Unless he bowls on such wickets he is not going to learn. Anil Kumble got the chance to learn and we should not deny Ashwin of the same. We know Ashwin can pick up wickets; he just needs to know how to do it consistently overseas. It is unfair for the critics to expect magic from him when our last two major spinners had the same trouble overseas. Ashwin has the talent and that needs backing. He has been brilliant in home conditions and now needs to translate that success to overseas games. He will do that and needs to be persisted with. I hope that the think tank play him on this tour as he would add amazing value to the team and if there is even a little help in the pitch he is bound to provide you with better attacking option.